Need for Speed World is the free to play online racing game! Need for Speed World is the free to play online racing game where you decide how to play in a massively multiplayer world. Connect with friends or race against the world as you rise through the rankings. Race the very latest cars or relive classic NFS moments with the ever-expanding car list. Stamp your identity on the cars with an endless combination of paints and liveries. Download Need for Speed World free game today and play for free now! Free Game features: - Biggest licensed car list in Need for Speed; - Thousands of aftermarket parts for customization; - Race online against your friends using Facebook Connect. 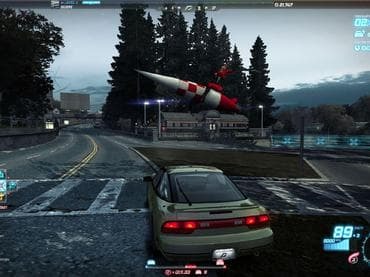 Если у Вас есть вопросы, связанные с игрой Need for Speed World пожалуйста используйте эту форму для связи с нами.